International Relations functionalism was in many ways a backlash against the lofty idealisms expounded by federalism. David Mitrany – its foremost theorist – once reproached the federalists for being ‘so fascinated by a readily convenient formula that they have neither asked how it works where it exists, nor whether its origins bear any relation to the problem of uniting a group of states in the present social ambience’. What mattered to functionalists was not the creation of a larger territorial unit (which would in its very essence be nationalist and would only repeat the errors of the nation-state on an even larger scale), but the maximisation of human welfare – even if that meant transcending the borders of existing states. Mitrany mentioned the examples of the continental administration of railways, the intercontinental organisation of shipping and the universal management of aviation and broadcasting (Rosamond, 2000). Taking an optimistic view of mankind’s abilities to overcome its arbitrary and counterproductive division by national borders, functionalism can be placed firmly in the liberal tradition of International Relations. Yet, functionalism was never designed as an analytical tool for European Integration. In fact, Mitrany was always opposed to regional integration since it merely replaced one border with another. This is what constitutes the fundamental difference between functionalism and neo-functionalism: neo-functionalists specifically study regional integration with European Integration as their foremost case in point. But as the name suggests, there are many parallels between functionalism and neo-functionalism in other respects. Both stress the centrality of technocratic decision-making, incremental change and learning processes (Niemann & Schmitter, 2009). 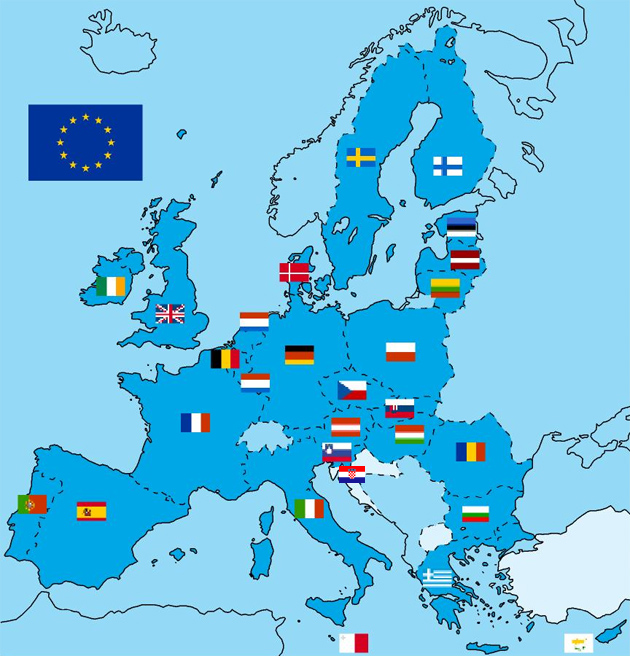 So what is European Integration all about for neo-functionalists? According to Ernst Haas – neo-functionalism’s principal theorist – integration was the process ‘whereby political actors in several distinct national settings are persuaded to shift their loyalties and activities towards a new centre, whose institutions possess or demand jurisdiction over the pre-existing national states’ (Haas, 1958, p.16). In practice, this would look something like this: a group of countries decides one or more sectors of their economies (often of low political contention; e.g. coal and steel production) can be more profitably organised on an international level. To that end, they create a supranational organisation (e.g. the European Coal and Steel Community) to administer the implementation of their joint policy. But they quickly discover that it makes no sense to only integrate one sector if related sectors (e.g. transport or energy) remain shackled within national borders. As integration thus acquires a dynamics of its own, more and more national elites (both governmental and non-governmental) will re-direct their energies towards the budding supranational organisation. transfer of loyalty: as supranational institutions show themselves to be more effective in dealing with specific problems than nation-states, national interest groups will re-invent themselves on a regional level and national policy-makers will be socialised into searching regional solutions for their problems. There used to be a time when neo-functionalism dominated the field of European Integration Theory, but reality quickly caught up… The ‘Empty Chair Crisis’ of 1965-66 demonstrated that spillover was not automatic, that supranational institutions could be defeated and that loyalties had remained very much with the nation-state. This sent neo-functionalism into a long period of wilderness. While Haas declared his own theory ‘obsolescent’ (Haas, 1975), some of his students and followers would not give up so easily. In response to the various criticisms, they set about reformulating the weak spots of the theory. Philippe Schmitter replaced the ‘automacity of spill-over’ with an alternative model in which spillover was but one of seven possible actor strategies in the face of European Integration (the other six being ‘spill-around’, ‘build-up’, ‘retrench’, ‘muddle-about’, ‘spill-back’ and ‘encapsulate’) (Schmitter, 1971). For his part, Arne Niemann addressed the claim that early neo-functionalism had neglected nationalism by adding ‘sovereignty-consciousness’ as a countervailing force to European Integration (Niemann, 1998). Whilst few European Integration Theorists would consider themselves neo-functionalists today, the theory’s profound influence on thinking about European Integration is unquestionable. As we will see, it has informed later scholars, who have recycled certain aspects of neo-functionalism into their new theories. Some have even described the present Euro Crisis as ‘the revenge of neo-functionalism’ (see this article), suggesting there might still be another lease of life to a theory declared dead by its founder almost four decades ago. Click here to read the following extract on neo-functionalism.